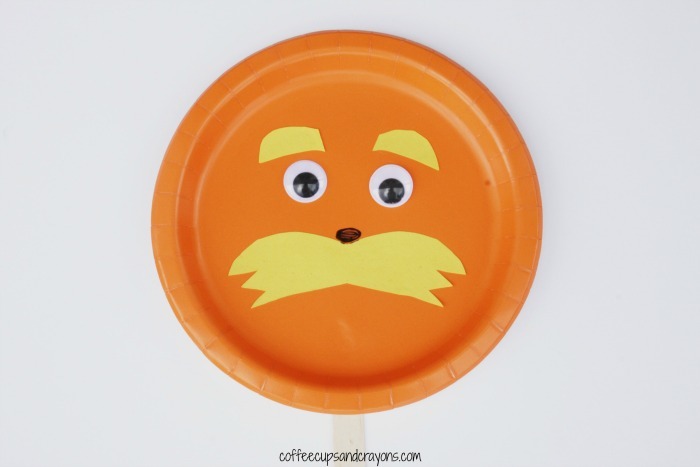 This Lorax paper plate craft is simple enough for preschool kids, but fun enough for older kids to play with too. We love crafts that can inspire pretend play! This paper plate craft is so easy to do. 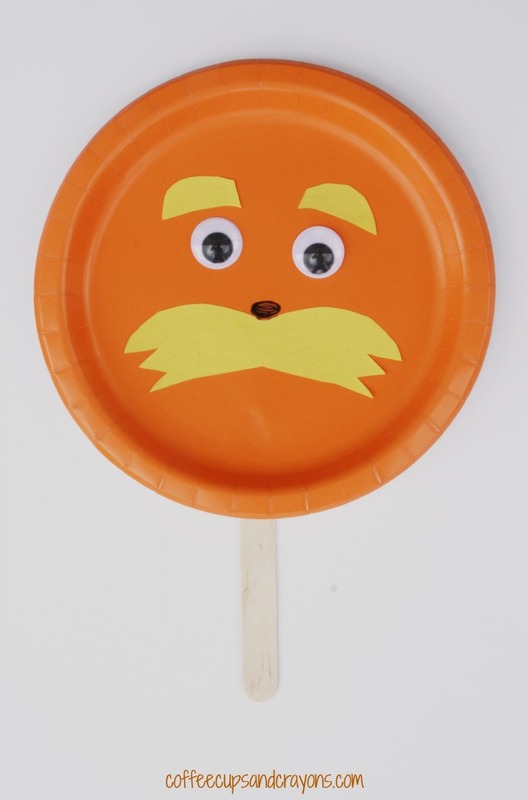 I drew and cut out a mustache and eyebrows for the Lorax. My preschooler traced the shapes and then cut out her own. 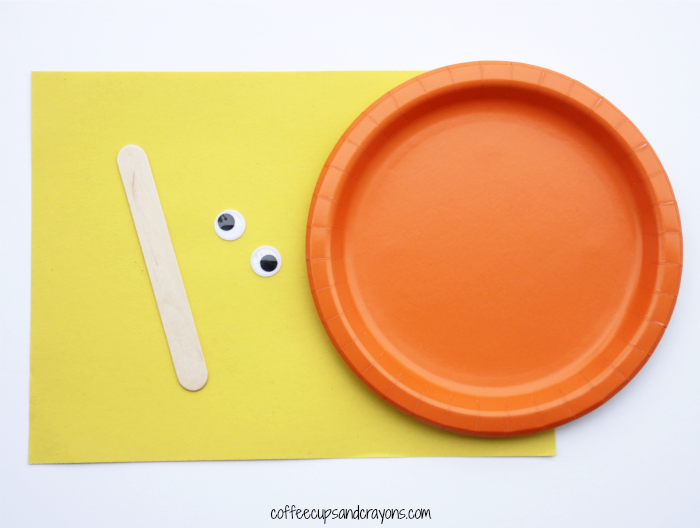 We glued the googly eyes, the mustache and the eyebrows to the plate and added a nose with a marker. Then we glued the popsicle stick to the back and were ready to play! Thank you for all the happiness your posts always bring me!